Claims that Samuel Allen was the son of George and Catherine Allen appear to be false. Samuel Allen, son of George, would have been too young to have been this Samuel Allen per Robert Charles Anderson's The Great Migration series (Vol. 1, p. 34). 1 Daughters of the American Revolution Magazine, 1920, Vol. 54, No. 7, p. 538, Google Books (Digital Library). 2 New England Ancestors Magazine, 2007, Vol. 8.5, p. 40, New England Historic Genealogical Society (Online Database). 3 Allen, Willard S., A Genealogy of Samuel Allen, of Windsor, Ct. and Some of His Descendants, Boston: David Clapp and Son, Printers (1876), 5-7, Internet Archive (Digital Library). 4 Anderson, Robert Charles and others, The Great Migration: Immigrants to New England 1634-1635, Vol. I, A-B , Boston: New England Historic Genealogical Society (1999), 40. 5 Dwight, Benjamin W., The History of the Descendants of Elder John Strong, of Northampton, Mass., Vol. 1, Albany, New York: Joel Munsell (1871), 308, Internet Archive (Digital Library). 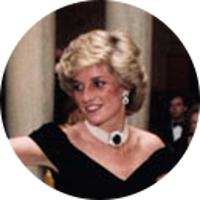 6 Evans, Richard K., The Ancestry of Diana, Princess of Wales , Boston: New England Historic Genealogical Society (2007), 215. 7 Greenwood, Isaac John, The Greenwood Family of Norwich, England in America, Concord, New Hampshire: Rumford Press (1934), 16, Ancestry.com (Online Database). 8 Jacobus, Donald Lines and Edgar Francis Waterman, Hale, House and Related Families: Mainly of the Connecticut River Valley, Baltimore: Genealogical Publishing Co., Inc. (1978, reprinted from 1952), 544, Hathi Trust Digital Library. 9 Seaver, J. Montgomery, Allen Family Records, Philadelphia: American Historical-Genealogical Society (1929), 18-19, Heritage Quest (Digital Library).